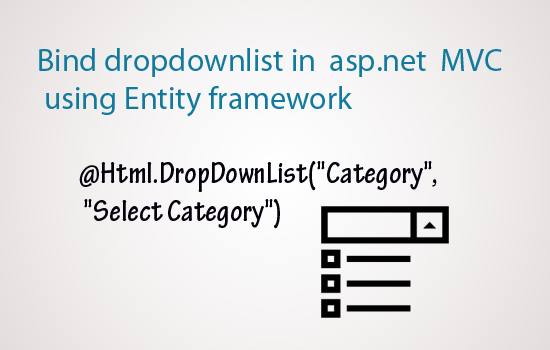 How to bind dropdownlist in asp.net MVC using Entity framework., someone asked me to explain? In this article I am going to explain How to create DropDownList using MVC .net. Here, I am binding the MVC dropdownlist from model object (myDatabaseEntity) using entity framework. You can assign the model object to the viewBag property (Category) and bind on the Razor view using the MVC HTML dropdownlist control. Create an MVC application in Visual studio. Right click on the controller folder and click on add and name it as Home. Right click on the index view and Create a view. Copy and paste the following code.